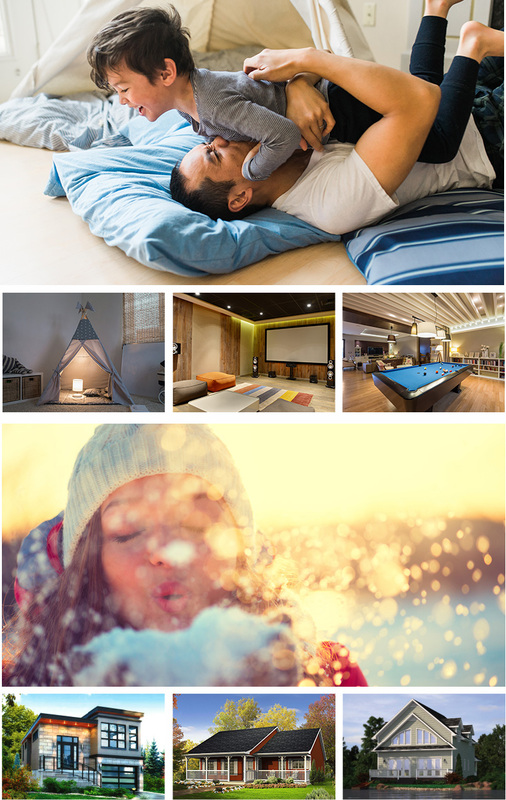 Quality Homes has manufactured and built modular homes in Ontario for thirty years. Their business is predominately rural, servicing both new home and cottage building markets. Quality Homes operates in parts of the province that are often under served by traditional contractors, sometimes in locations that are remote and challenging. They came to 52 Pick-up because they wanted to update and refresh their brand and distinguish their company as leaders in the manufacture of high tech factory built homes. 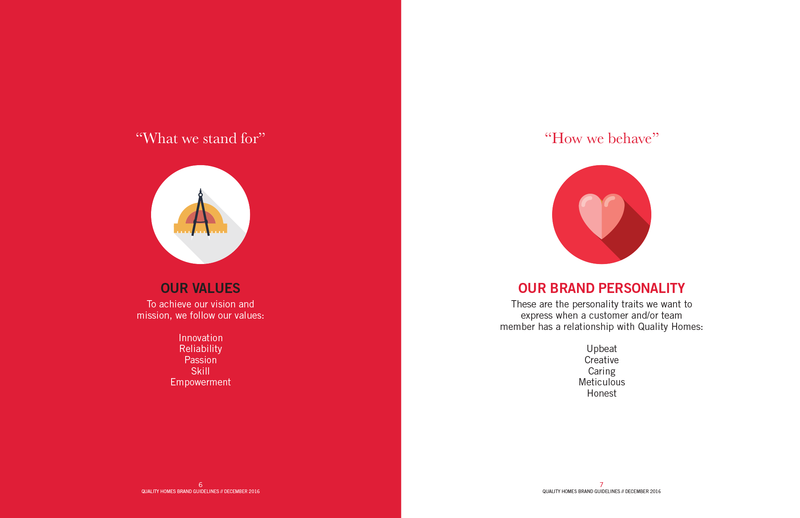 The chemistry between our senior managers and theirs was electric; we knew from the onset that we would not only reenergize their business and deliver a complete corporate rebrand, but also become deeply involved in every aspect of their marketing. We initially provided Quality Homes with a new logo and new market positioning that gave them a more contemporary image, and extolled the virtues of modular building as opposed to traditional construction. We convinced our client to add more modern home designs to their menu. 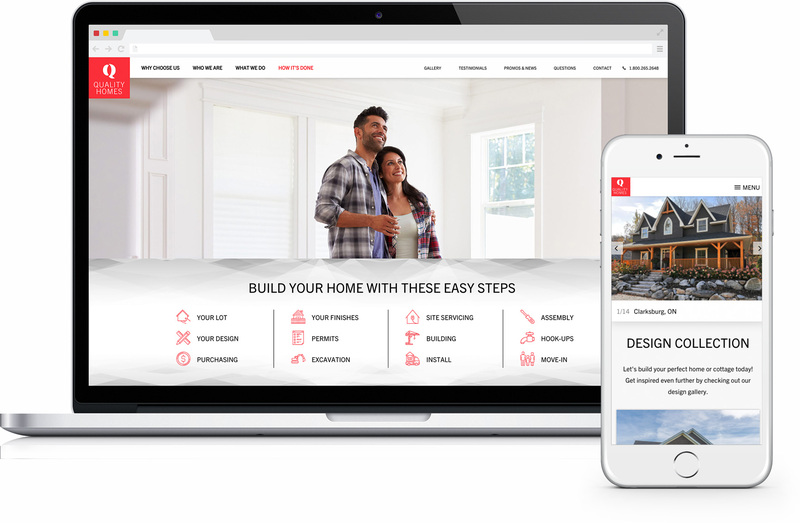 We built them a comprehensive website that offers an intuitive and easy user experience and repositions their brand as a better built home with the emphasis on the main advantages of building indoors in a high tech factory environment. On an ongoing basis, we work with them on promotions and advertising as well as social media. 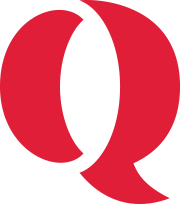 Since launching the new brand in the Spring of 2016, Quality Homes has increased its sales significantly. Traffic to their various presentation centres has increased dramatically and sales have escalated to the point that they’ve had to increase their production by 50%. The most recent Open House at the Kennilworth location had the highest attendance in their history, with more than 280 buyer groups touring the QH factory. The first quarter of 2017 has been their best first quarter in a decade. As we continue to impact their corporate growth, we are presently looking to increase Quality Homes’ reach with a new market initiative; namely rebuilding infill locations in older neighbourhoods within targeted cities. We expect this new aspect of their business will result in significant growth in the years ahead. 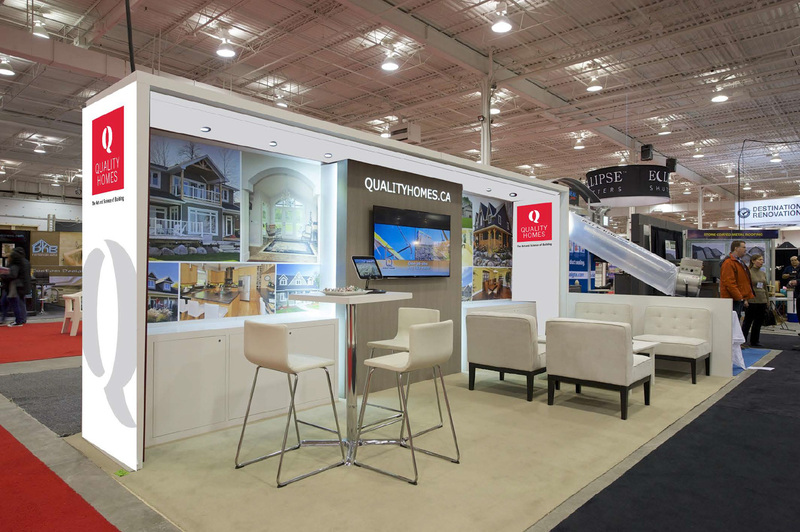 Overall, Quality Homes has experienced increased sales and revenue, a corporate profile that positions it as the number one provider of a better built home and increased traffic to its website and its presentation centres with conversions the highest in its history.